Mary Ellen Moore graduated with her clinical doctorate degree in physical therapy from University of Medicine and Dentistry of NJ in 2009. She has worked in a variety of clinical settings with children and adults including sub-acute, school based, EIP, pediatric developmental and orthopedic outpatient. 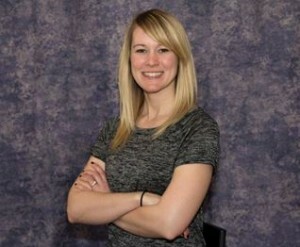 Her training includes kinesiotaping and pediatric sports. Since beginning with PRNY in 2011, she has developed a passion for treating patients with scoliosis. She holds a C2 certification in 3-Dimensional treatment of scoliosis from the Barcelona Scoliosis Physiotherapy School. Mary Ellen has recently co-developed and co-instructed an elective course on the physical therapist’s new role in the treatment of scoliosis for the DPT students of Rutger’s University. Mary Ellen currently resides in Cranford, New Jersey. She enjoys hiking, biking, and adventuring outdoors with her fiancé.